An excerpt from "The Business Romantic" opens Tom Peters' forthcoming book, "The Excellence Dividend." 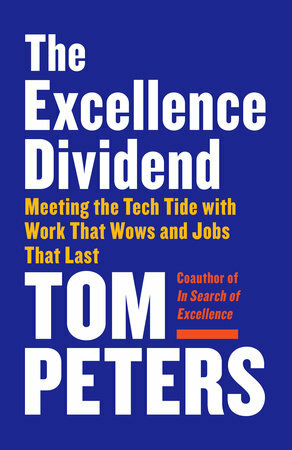 An excerpt from The Business Romantic opens Tom Peters’ latest book, The Excellence Dividend: the Meeting the Tech Tide with Work That Wows and Jobs That Last. Peters, management guru and bestselling author, is back thirty-five years after the publication of his iconic work, In Search of Excellence. According to Peters in The Excellence Dividend, the only way to face today’s tempestuous world of business is to do so with a dual commitment to excellence and to people. In his book, Peters provides his own straightforward, actionable guidelines for success, along with those of leaders in business.